Markets don’t always emerge with experiments, but when they do, they can contribute to the discovery of lower cost environmental quality. 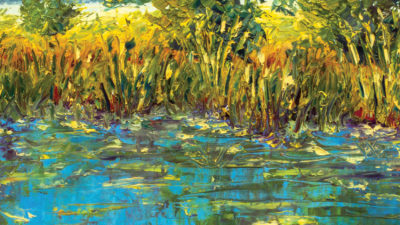 In the late 1990s, the U.S. Environmental Protection Agency (EPA) began encouraging the use of market forces to improve water quality in rivers, streams, and coastal waters. The EPA realized that the commandand- control, point-source regulations prescribed by the Clean Water Act were not working. In some cases, every point source such as discharge from a pipe at an industrial facility was operating within the limits of EPA-sanctioned permits, but the river was still polluted. 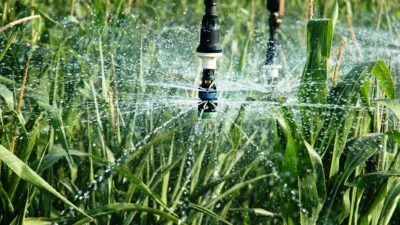 Uncontrolled nonpoint-source discharge such as excess fertilizers and insecticides from farming was generally the culprit, but agriculture was outside the EPA’s regulatory authority. In other cases, the activities of large numbers of publicly owned treatment works were not under the control of one coordinating authority. To the EPA’s credit, the agency has encouraged experimentation with incentives and markets to address growing water quality challenges. Three different approaches in Pennsylvania, Connecticut, and North Carolina serve as examples. In November 2007, the state of Pennsylvania approved a transaction under a nutrient trading program that illustrates how a third party can facilitate water quality improvements. The transaction involved a five-year trade between a farm operation and a real estate developer. The developer wanted to move some earth, build a community, and put in a compact sewage treatment plant. Doing so would generate nutrient discharge in the watershed. The farm operator, looking for additional positive cash flow, saw an opportunity to go to no-till farming, thereby reducing runoff. The transaction brought improved water quality, gains from trade for the buyer and seller, and a commission for the Red Barn Trading Company, the firm that organized the transaction. 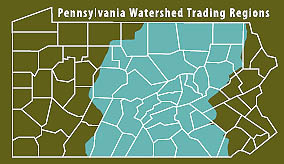 The geographic area covered by the Pennsylvania trading program is shown in the map below. Red Barn Trading Company emerged when Pennsylvania embarked on a market- based journey to improve water quality. There was no problem determining what might be an acceptable trade and how the transaction would be approved and registered. The state Department of Environmental Protection had that base covered. What was missing was a supply of potential nutrient reductions and a way to connect buyers and sellers. 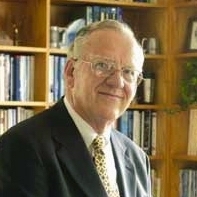 Red Barn played the counterpart of a real estate broker in a nutrient permit trading world. Today, Red Barn’s website (www.redbarnag.com) lists suppliers and prices for nitrogen and phosphorus reductions. The website also provides step-by-step instructions for determining how many credits one might need to offset actions that would increase nutrient loadings in watersheds. Drawing on a real estate analogy, the Pennsylvania case has buyers, sellers, agents, and a courthouse function played by the state Department of Environmental Protection. It turns out Pennsylvania has a long tradition in making markets for environmental quality. The state organized one of the nation’s first air quality offset transactions in 1978 when Volkswagen (seeking to build a Westmoreland County plant for producing Rabbits) encountered hydrocarbon emission constraints. Pennsylvania moved from petroleum-based to water-based asphalt paving and in doing so provided “room” for the Rabbit plant to operate. Market forces helped bring cleaner air, employment growth, and the production of fuel efficient autos in Pennsylvania. Long Island Sound has a hypoxia problem at the intersection of New York and Connecticut. Hypoxia is a situation of extreme oxygen deprivation where fish cannot live. The loss of oxygen comes from increased discharge of nitrogen and phosphorus that encourages algae growth and blooms, which eventually decay and consume oxygen in the water. 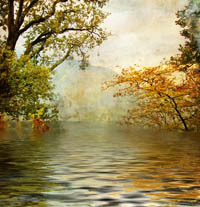 Working together with the EPA, in 2001, Connecticut and New York authorities found that most of the nutrient loads were coming from 79 publicly owned treatment works (POTWs) in Connecticut. As is generally the case, the POTWs were managed by different local authorities. In a way, having a problem confined to 79 similar sources made things simpler. But there was no single coordinating manager with authority to take a systems approach in operating all of the plants. Using the EPA’s watershed management tools, the two states identified the Total Maximum Daily Load (TMDL) of nitrogen for the Long Island Sound. 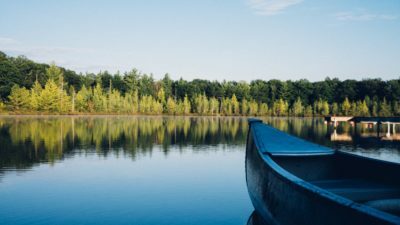 In 2002, Connecticut’s Department of Environmental Protection established a Nitrogen Credit Exchange for the purpose of reaching the TMDL and achieving a targeted 65 percent reduction in nitrogen discharge by 2014. Legislation establishing the exchange built a process of payments that gave powerful incentives for POTWs to discover ways to reduce nutrient discharge. The process works like this: Each year, the exchange evaluates the cumulative record for daily discharge and annual operating cost data for each POTW. Those POTWs that have exceeded their discharge goal pay the exchange for each unit above the allowable amount. And those POTWs that have discharged less than their goal are paid by the exchange for each unit below the limit. The amount paid is based on the average cost of reducing nitrogen discharge from the 79 plants. In 2006, the average cost was $3.40 a pound. The exchange received $2,394,956 in payments and paid out $3,828,114. Although there was a deficit in the account that year, there have been surpluses in other years. By 2007, the community of POTWs was approaching the goal set for 2008, but still had a way to go to reach the 2014 target. The Connecticut Nitrogen Credit Exchange illustrates how a community of POTWs that individually and collectively affect water quality can be reorganized around market incentives so that one manager coordinates outcomes. Unlike the Pennsylvania case, this example does not involve nonpoint-source dischargers and brokers but instead focuses on POTWs. But like Pennsylvania, Connecticut has found a way to achieve extraordinary water quality improvements at a lower cost. In the absence of taking a system approach, each POTW operator would have faced the prospect of installing higher cost, advanced waste treatment technology for achieving the water quality goal. In 1989, following a large fish kill, community leaders in the North Carolina Pamlico Sound region faced a serious problem. As one of the largest salt water fisheries on the Atlantic coast, the Pamlico Sound was sought after by sport and commercial fishermen. And with a lovely rural setting enriched by the Tar-Pamlico River, the community enjoyed a pleasant and productive lifestyle. All of this was threatened by one fact—the Tar-Pamlico River was dying from oxygen depletion. Unlike the Long Island Sound, which faced a similar problem, the source of Tar-Pamlico’s demise was 80 percent related to nonpointsource discharge. The more than 20 POTWS and the few industrial dischargers located in the basin were operating within the limits of their EPA-approved permits, and even if they shut down completely, the beautiful Tar-Pamlico River might still be threatened. The map below shows the location of the Tar-Pamlico basin. The communities faced the fact in 1989 that they would either have to install advanced treatment technology to the tune of several hundred million dollars and still not get the desired result, or discover a new way to manage environmental quality. With assistance from the EPA, Environmental Defense Fund, North Carolina Environmental Management Commission, and other state agencies, the folks in the community discovered another way. Using an existing river basin foundation as a vehicle, community leaders organized the Tar-Pamlico River Basin Association. 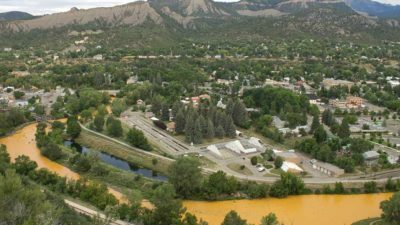 Publicly owned treatment works and industrial plant operators were given the choice to join or deal separately with the EPA. The majority of the operators joined the association. Joining the association was not cheap. Point source dischargers paid a fee for each unit of nitrogen or phosphorus emitted to the river. And much like the 79 POTW operators in Connecticut, each member of the association was required to cooperate in an association-sponsored effort to upgrade plant maintenance and operating procedures. Indeed, this effort alone led to significant discharge reductions. In December 1989, the association set a goal of reducing nutrient discharge by 20 percent by 1994; they accomplished this while the region experienced population growth. The fees paid by association members were used to compensate farmers for installing Best Management Practices in the operation of farms and dairies in the area. There were large gains from trade. In some cases, a farmer could spend $13 to reduce a unit of nitrogen discharge that would cost a POTW nearly $35 to accomplish. To get reductions, farmers installed buffer strips along creek sides and found ways to use discharge from swine operations for fertilizing pastures. By way of improved POTW operations and contracting with farmers, the Tar-Pamlico River Basin Association achieved major reductions in point- and nonpoint-source nutrient discharge. As time passed, Tar-Pamlico became a key player in a larger state enterprise that focused on setting standards for nonpoint-source nutrient dischargers. 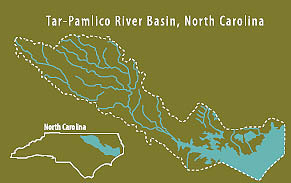 The Tar-Pamlico story is distinguished by the use of an association for gathering revenues and then contracting with farmers to reduce nutrient discharge. Unlike the Pennsylvania Red Barn examples, Tar-Pamlico is its own agent. But in ways similar to the Pennsylvania story, Tar-Pamlico works closely with the state in coordinating and operating the trading process. 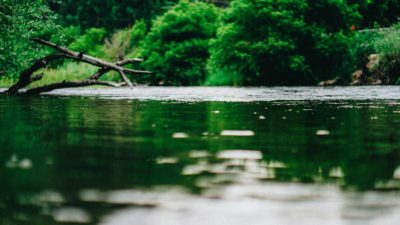 Like the water quality programs in Pennsylvania and Connecticut, North Carolina’s program is heavily affected by state and federal regulation. Even so, market incentives provide a better way to improve water quality at a lower cost. The three case studies reported here illustrate what can happen when states are given flexibility in achieving environmental goals. In each case, market incentives have been used to induce cooperation, innovation, and accountability. These experiments did not always come easy. Sometimes regulators looked the other way to encourage experimentation. By taking on risk, the regulatory authorities helped deliver improved institutions for managing water quality. Think what might happen if state and federal legislative bodies provided a process for granting waivers for more controlled experiments where the sponsoring organization would demonstrate the superior potential for alternative approaches for achieving improved water quality.